The last day’s outfit was the most popular. I spent the majority of the day at Somerset House checking out all the exhibitions and just being around people with the same interests as myself. It’s a world where I feel completely at ease and where I could live forever. I met some lovely new people and reconnected with old friends. 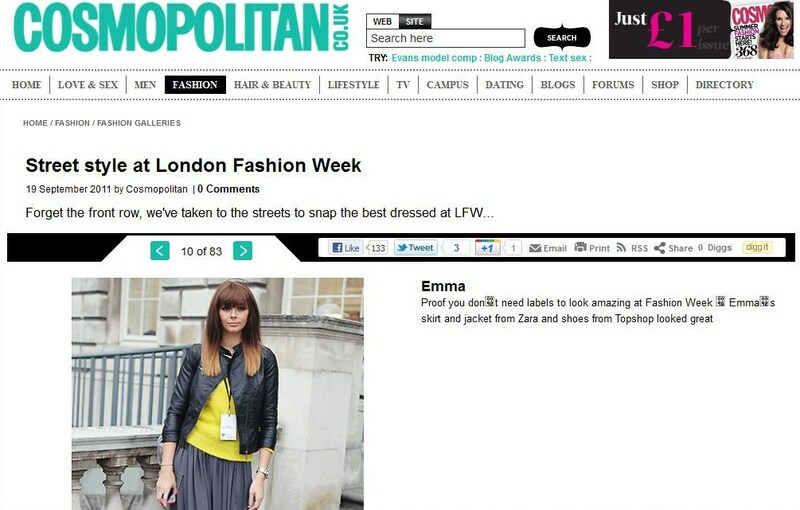 As you can see from the screenshot above, I made it onto Cosmopolitan Online in their street Style section.